Tara Adams (Debby Ryan: Jessie, The Suite Life on Deck) is just an ordinary high school junior... except for one little thing. Tara's got a secret--a secret identity, in fact; she's Radio Rebel, the most popular radio DJ in Seattle. 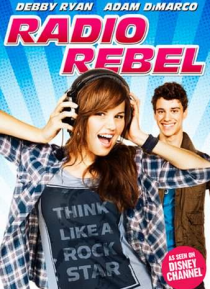 In person, Tara is as shy as they come, but on the air, Radio Rebel is the smoothest talker around--a skill she needs more than ever right now, since her school is in … the midst of a clique-crisis.